Founded in 1859, The University of Michigan Men's Glee Club is the second oldest collegiate chorus in the United States and the oldest continually-run student organization on the Michigan campus. Long acclaimed as one of the finest male choruses in the world, the Glee Club has achieved this stature by sustaining and respecting the traditions which have been established during its 145 year history. The graduate and undergraduate members of the Glee Club, chosen by audition at the beginning of both the Fall and Winter terms, represent a wide spectrum of majors in a majority of the University's 19 schools and colleges, and its student officers are responsible for the management of all non-musical Glee Club operations. The Glee Club is renowned for its wide repertoire of music that incorporates selections from different musical styles and periods including Renaissance motets, Romantic anthems, opera choruses, folksongs, spirituals, contemporary works, and, of course, Michigan songs. 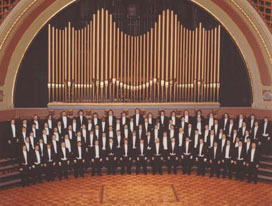 In 1959, the Club was honored to be the first American male chorus to win first place at the International Musical Eisteddfod in Llangollen, Wales (and has since won three more first prizes at the same competition) and in 1967 circled the globe in celebration of the University's sesquicentennial year. Recent international tours have included Asia (1989), Eastern and Central Europe (1992), South America (1996), Australia (2000), and Great Britain & Ireland (2004). The Club has also made appearances at Carnegie Hall (2005), Avery Fisher and Alice Tully Halls at the Lincoln Center in New York, the Kennedy Center in Washington DC, the pre-game festivities for the 1984 World Series, and the Intercollegiate Men's Choruses (IMC) National Seminars in 1986 and 2004 at Harvard University. The Club has had the esteemed privilege of performing at three conventions of the American Choral Directors Association and was recently honored to be featured on Manheim Steamroller's double platinum CD Christmas Extraordinaire. 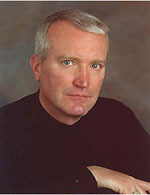 Stephen Lusmann has sung leading Baritone roles with major opera houses including the Oper der Stadt Bonn, Opera de Monte Carlo, Stadttheater Luzern, Washington Opera, Cincinnati Opera, Opera Company of Philadelphia, Boston Lyric Opera, Glimmerglass Opera, Opera Carolina, Opera Columbus, Connecticut Grand Opera, and tours with the New York City Opera under important conductors and directors including Leonard Slatkin, Christopher Keene, Anton Guadagno, Franco Zefferelli, Gian Carlo Menotti, and Gian Carlo del Monaco. As an active concert soloist he has performed at Carnegie Hall, Alice Tully Hall in the Lincoln Center, the Anchorage Festival of Music, Chautauqua Institute, and with numerous symphony orchestras such as the Buffalo Philharmonic, Sinfonie-orchester Luzern, West Virginia Symphony, Little Orchestra Society of New York, and the Canton Symphony. In addition to his appointment as assistant professor of voice at the University of Michigan, he is currently a member of the Voice Faculty at the Seagle Music Colony and the Advisory Board of the Lake George Opera Festival.